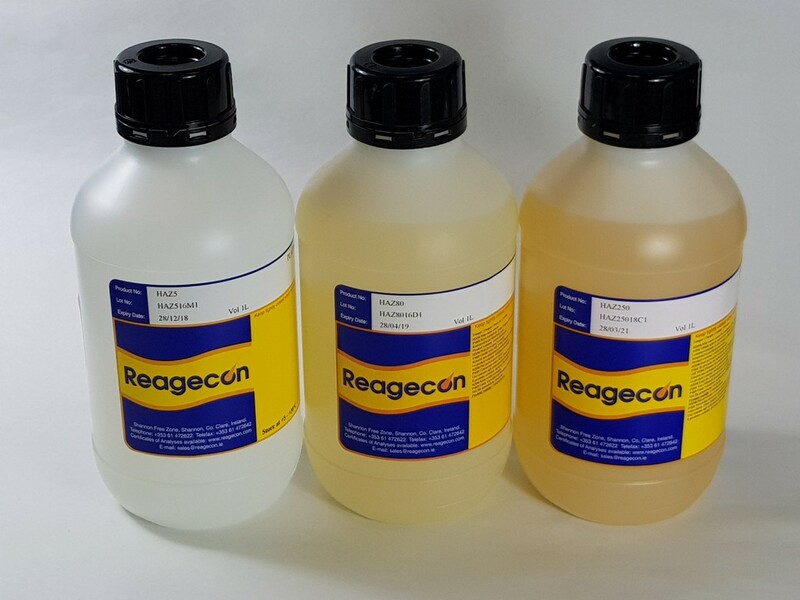 Reagecon's Platinum-Cobalt (Hazen) 5 Colour Standard can be used to calibrate, control, qualify or validate colour measurement instruments. This standard can be described as Platinum-Cobalt, Pt-Co, Hazen or APHA colour. All descriptions are interchangeable. This product is used extensively in the water industry and several other industries. The standard covers the requirements of ASTM Method D 1209.